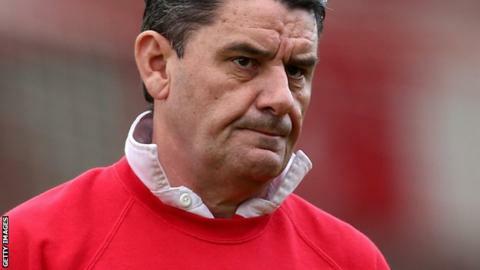 Crawley Town manager John Gregory has extended his contract with the League One club until the 2015-16 season. The former Aston Villa, QPR and Derby boss took charge of the Red Devils in December 2013, signing an initial 18-month contract. The 59-year-old led Crawley to 14th place this season. "I asked the questions about next season, about improving the squad and once they were answered I had no hesitation," Gregory told BBC Sussex. "It was something I considered for a while, I spoke with a few of my people and we came up with the right arrangement and it's a commitment for two years. "I have been very happy here. It's a fantastic football club." Crawley were 15th in League One when Gregory took over, following the dismissal of Richie Barker.